We are about to begin our “warm season” in the Rio Grande Valley. Plants may begin to grow as early as February, but the best time to plant extends into March and early April. As the weather gets milder, this is a good time to plant and add compost or fertilizer if needed. Get your plants ready for the hot months by checking to see if you need to add mulch to your plantings. How to plant? Dig a hole larger than the container you are planting. Pull out the plant carefully from the pot, by “massaging” the container with your fingers to loosen up root ball. Place one hand flat on top of pot with the plant stem between your first two fingers, turn pot upside down, and with the second hand remove pot. Once your plant is out, loosen the root ball carefully. If the roots are growing in a circle because the container was too small for the plant, break up the circle. This will stimulate root growth and plant establishment; otherwise the roots will keep on growing in a circle! Next, carefully place the plant in the ground, at the same level or somewhat higher than that. Placing the plant below the ground level means the water will collect there, which may cause root disease. Fill in the hole with soil and pat around the plant, ensuring there are no air gaps, which are not good for roots. Finally, water your plant thoroughly! For later waterings, check the soil to determine if you need to water. For that, use a very fancy tool — your index finger. Stick it in the soil: if it feels moist, you can skip the watering. If it feels dry, go ahead and water. What to plant? High temperatures during the (long) summer, frequent droughts and occasional freezes and floods make it challenging to garden in the Valley. Valley native plants are adapted to these conditions and our soil, making them a perfect choice for easy gardening. 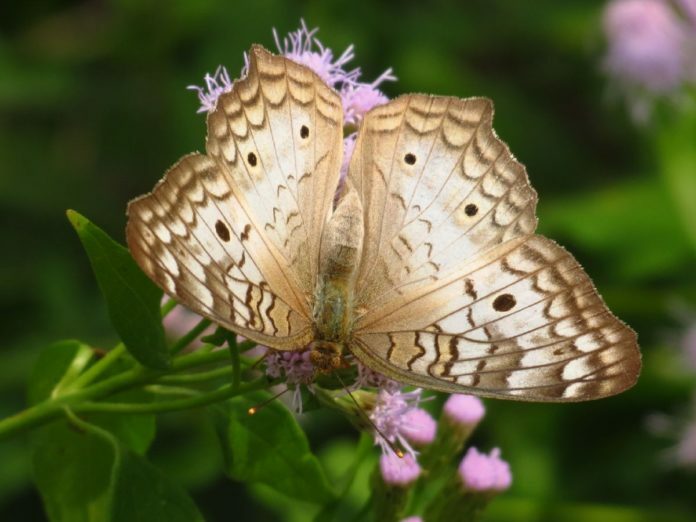 Since Spring butterflies are around the corner, how about planting some butterfly plants? Monarchs from Mexico will be heading up our way in March; planting some Prairie Milkweed (Zizotes) in your garden means they might stop by and lay eggs on them. Caterpillars will eat the leaves, but the leaves do come back. Adult butterflies drink nectar: Spring Mistflower (Blue Boneset), Betony-leaf Mistflower (Padre Island Mistflower), Texas Lantana and White-Brush are great nectar plants, sure to attract butterflies of many sizes and colors.